How to Easily highlight source codes in content? Cool. It will look like codes but not look like as it looks like in your favorite code editor, with different colors for constants, variables, functions, strings etc. along with line numbers. So, what you want to do is to highlight source codes and make them appearing like in a code editor, which is just not for colors, but for more readability too. How to easily highlight source codes? Already using SyntaxHighlighter? Then you should know how to optimize the loading speed. 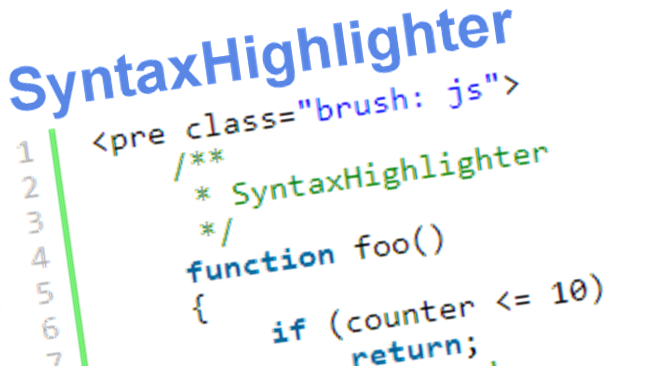 Read More: How to Optimize syntax highlighter loading speed? Great. How to use SyntaxHighlighter? 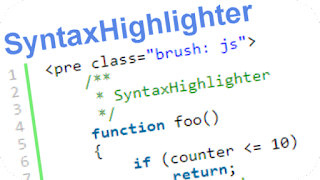 The official website for SyntaxHighlighter already have many ways described on implementing SyntaxHighlighter in your website including widgets for popular CMS like wordpress etc. You have to include the core CSS and JS file for SyntaxHighlighter initially along with a CSS file for a SyntaxHighlighter theme you would like to use. The default theme is pretty cool though, you can find all the themes here. Include these 3 files in your <head /> section. Then include the JS files for the brushes you want to use (also in the <head />). For example, I want to use PHP, JS and HTML brushes. You can find a list of available brushes here. Thus following code is what I need to setup SyntaxHighlighter. Then in the BODY section you write your source code in <PRE /> tags. You have to escape your source code before you can use them in the <pre /> tags. Such as < to &lt; and > to &gt; etc. You can use this online tool here to escape your code before inserting them in the <pre /> tags. Okay, now at the bottom of your page, call the initiator function for SyntaxHighlighter to do the magic. I might not be publishing source codes in each of my post or page, then why loading all these scripts in each and every page? I might be publishing source codes of many languages and platforms (PHP, C, C++, JS, HTML etc. ), that means more scripts for brushes. But may be I am publishing source code of only one language in a page, but still loading all of the brush scripts! Okay, do not freak out. There is a cool optimized way to load SyntaxHighlighter and it's brushes. I recommend you to visit the official website of SyntaxHighlighter to explore more about themes, scripts, implementation guide or integration to CMS etc. Like and Share this post if it just helped you out. Thanks.